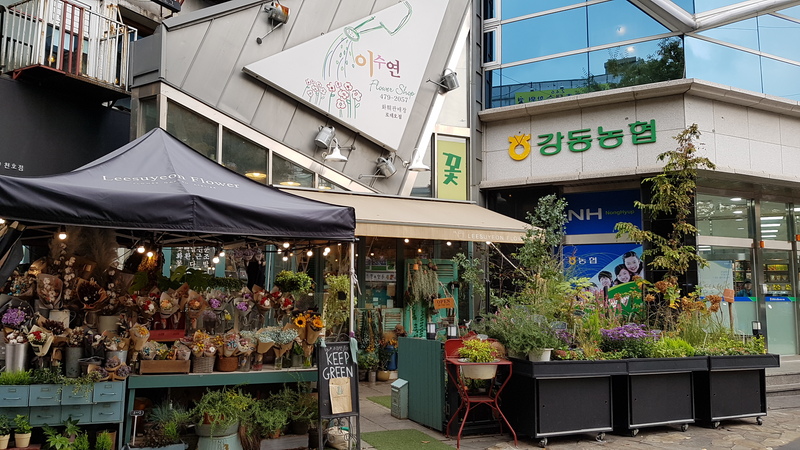 Remember how I shared in my last blog about searching for/visiting K-drama locations that I’d next planned to visit the various sites found in Strongest Deliveryman (최강 배달꾼) (SDM)? 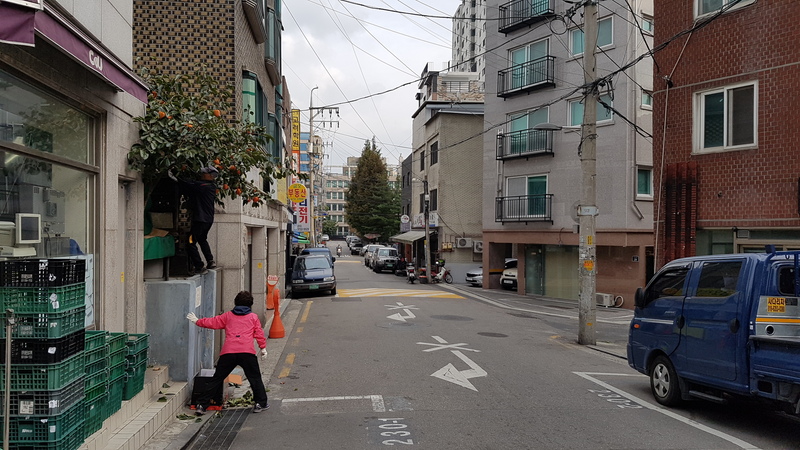 I’m pleased (and very thankful) to report that I’ve been able to put this plan into action on my most recent trip to Seoul! This time, however, I had all the more reason to head back. 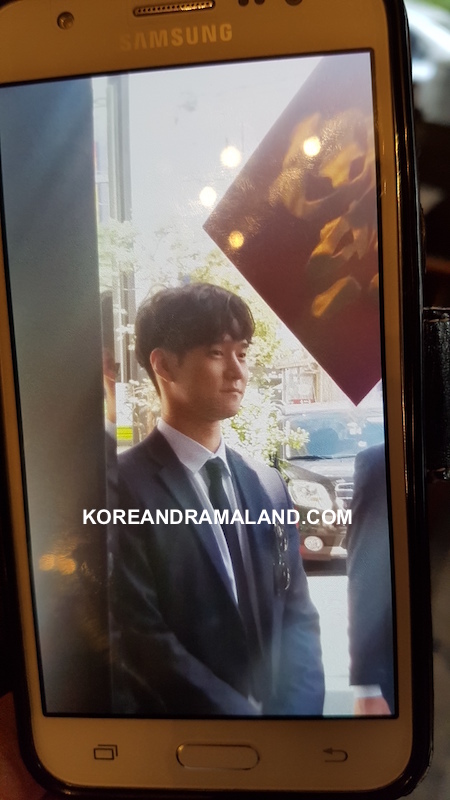 Not so that I could (accidentally, on purpose) run into Gang-soo (though that would have been nice), but more of reliving the passion, determination and hopeful youth that was one of my favourite dramas this year. Here’s the exact itinerary and route that I took on this trip! The headquarters for all things SDM. Couldn’t start my journey without coming here first! 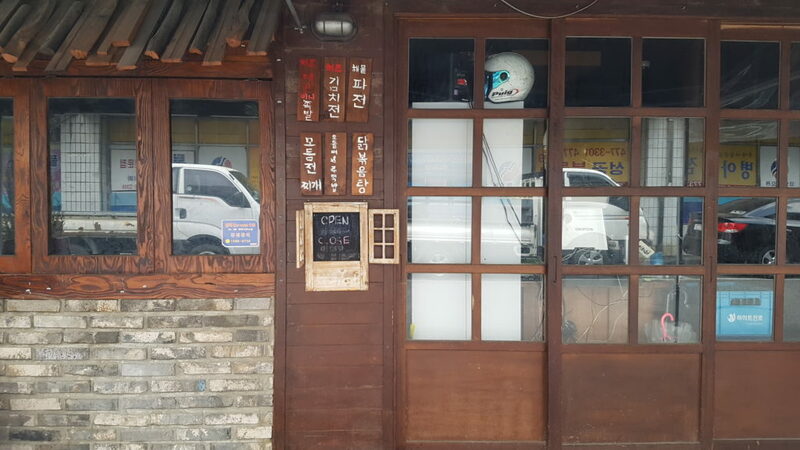 Pity that the Palpal Guksu (팔팔국수) sign and stickers shown in the drama are no longer on the front door. The place was closed when I got there, and clearly the inside looks nothing like the actual set! Would have been nice to start off my tour with some lunch; but off I went instead to the next location, which wasn’t too far away. Keep walking straight down the opposite direction of where you’d come from, and this would lead to the other ‘shops’ featured in SDM, and also where Gang-soo and his merry men would leave for their respective deliveries. (I saw a few deliverymen passing by too while I was there!) The situation on the street was largely like in the show. I went at around 1pm but not all the shops were open, and those that were seemed rather quiet. Turn at the first left, and you’ll see a pink ‘Pulp Fiction’ sign that was also in the show. 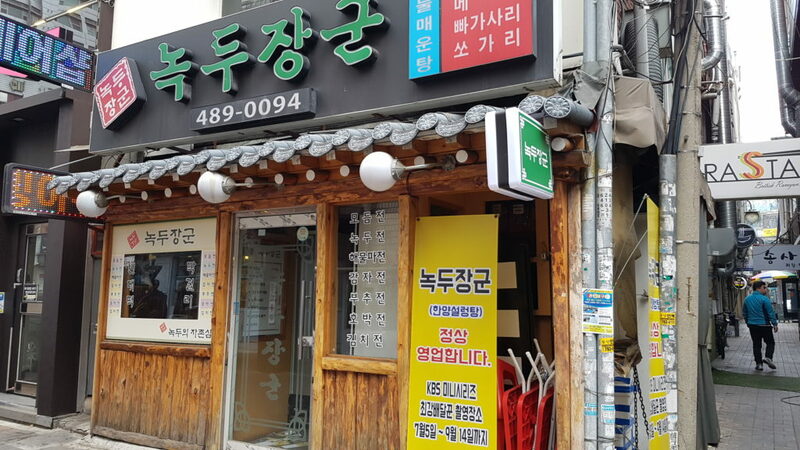 The shop that started Gang-soo’s mission to save ‘Restaurant Row’, that also served up a comforting bowl of seolleongtang (beef bone soup). 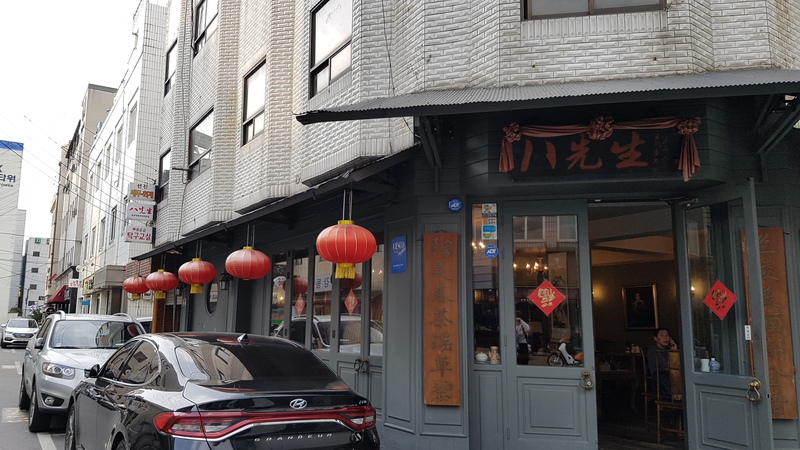 Sadly, I wasn’t going to get Grandma’s home cooking here, although I would have loved to try jeon (pancakes) – just that it wasn’t open! So, time for another walk. 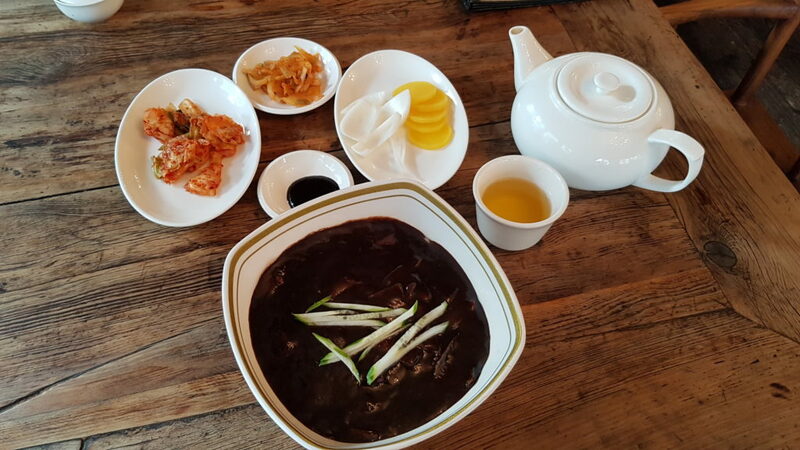 Nokdu Janggun has a 2nd restaurant (very cleverly called Nokdu Janggun 2) on the same street as Ichajeon! 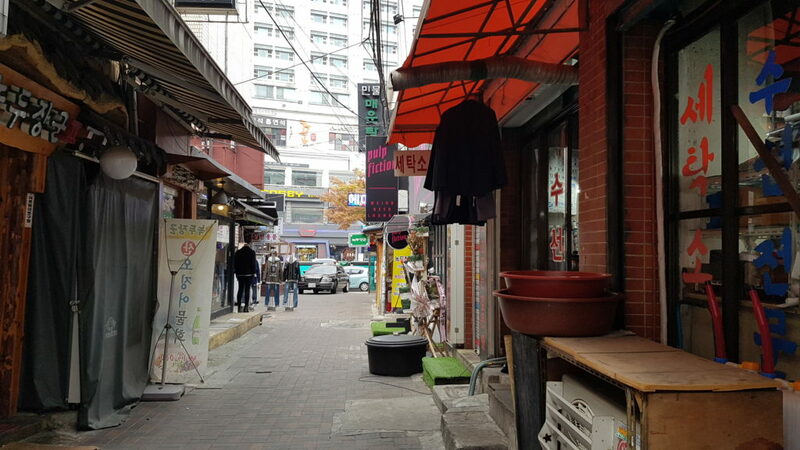 The alley next to it is the one you head down to find the original shop. 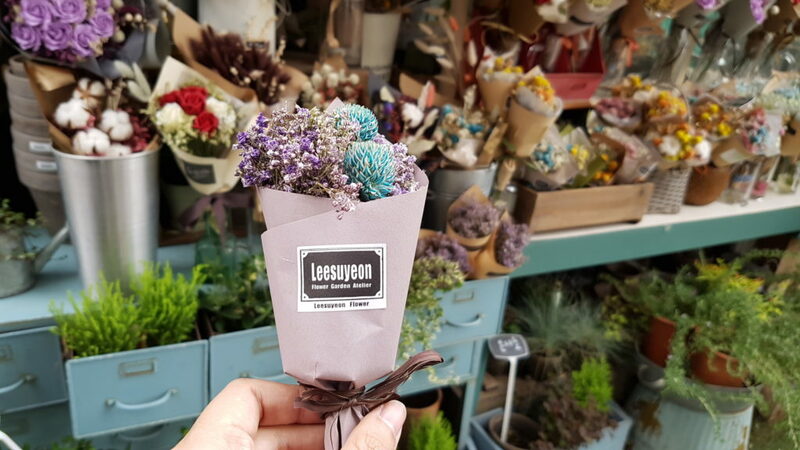 Flowers now in hand, it’s time to make the trek back to the subway station! At this point, I’m actually amazed at how near everything is! Walk back down 157gil and don’t stop until you reach the main road again, where Cheonho station is. The dolls at this place was just about everywhere in the show! 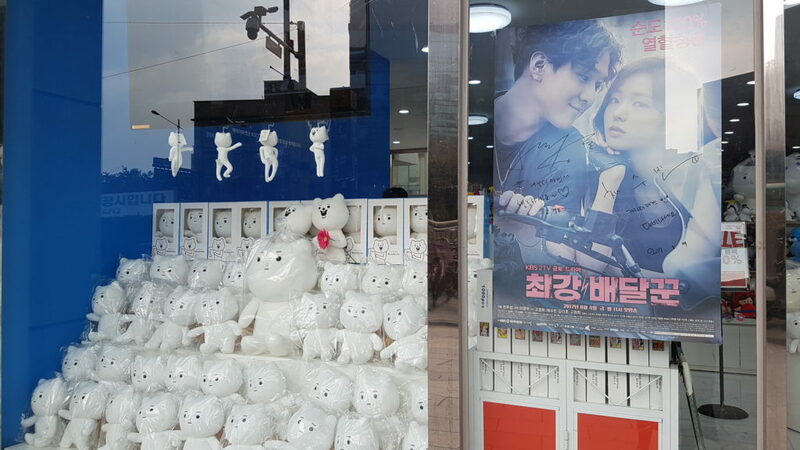 This was where Gang-soo attempted to win a doll for Dan-ah, and boy, was the man determined or what. 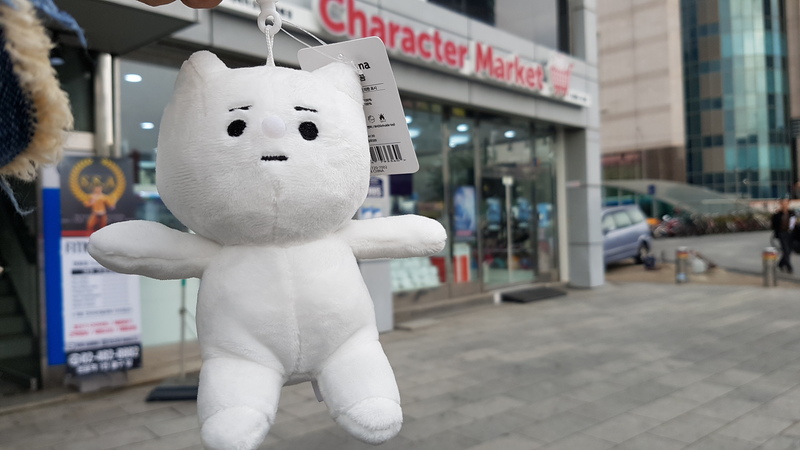 While I don’t have his tenacity (or his willingness to spend ₩30,000 to get that doll), I decided to pay tribute to my favourite deliveryman by getting one for myself – for just ₩5,000! Off to the next location (just a few steps away)! Funny story about this place: I was actually here a year ago when looking for my tattoo artist’s studio, but was too focused on finding it to actually think of taking photos of the area! So imagine my (belated) surprise when I watched Gang-soo and Dan-ah taking that route after their movie ‘date’, and realised what was in the background! This time, I definitely managed to get a shot of it. Keep walking along the side of the bridge (be careful of traffic!) 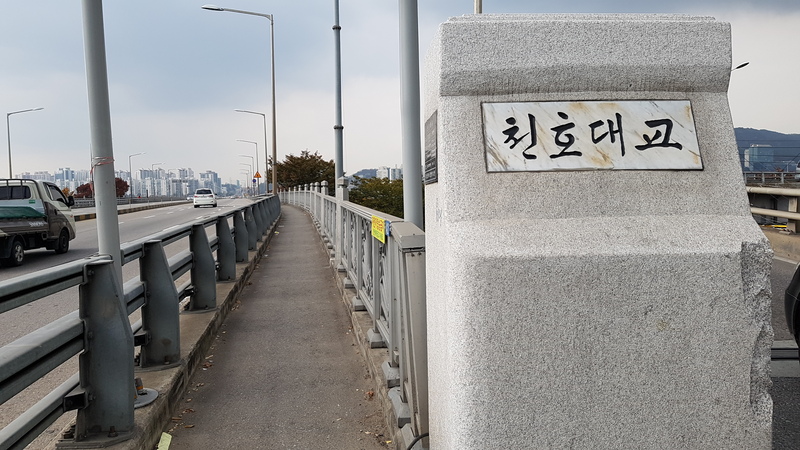 and you’ll reach a flight of stairs that will take you to the Gwangnaru part of the Han River. 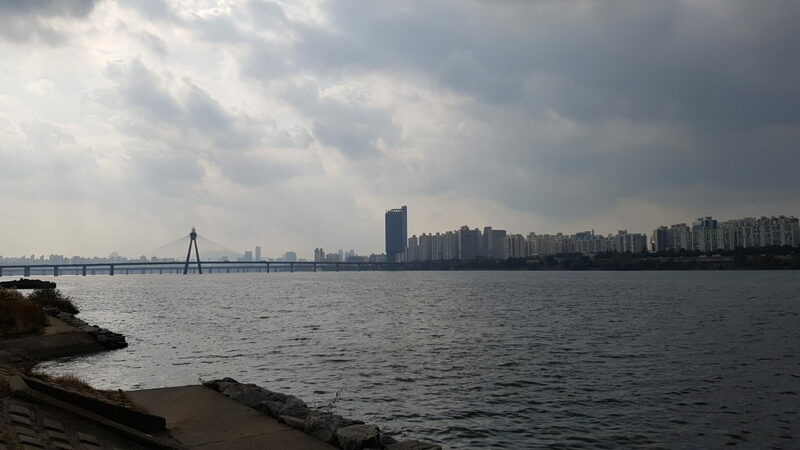 After the exercise area under the bridge was where Jin-kyu sat after he quit his job in episode 11, angry with himself for falling for the Chairwoman’s schemes. I can totally understand why he came to think here – really is a peaceful place to gather your thoughts. 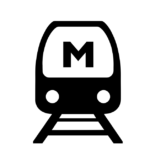 Head back to Cheonho station and take the subway just one stop away to Gangdong station (강동역). Exit via exit 1, turn left and head to the street on the right of East Central Arcade (which is where the subway station exit leads out to). 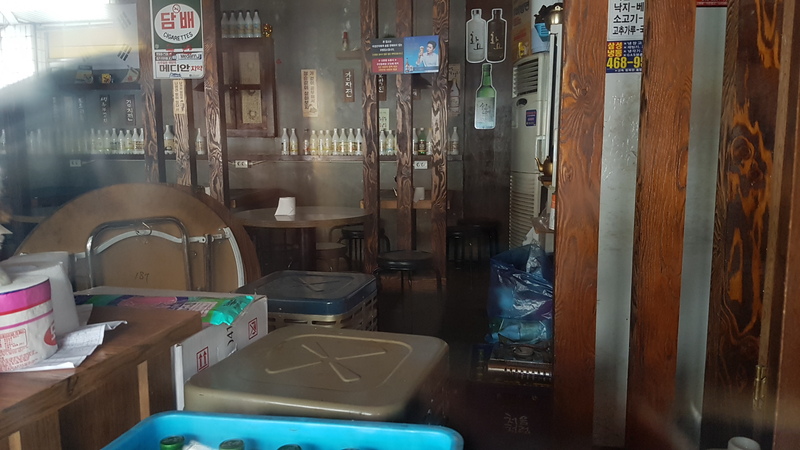 There isn’t any sign indicating the street, but it is Cheonho-daero 167gil (천호대로 167길). The sign appears later as you walk further down past the apartments. 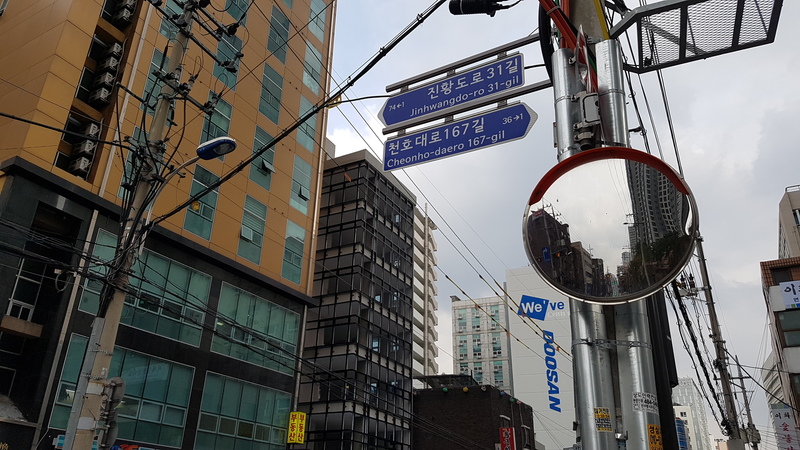 There will also be a sign for Jinhwangdo-ro 31-gil (진황도로31길), so keep walking down that stretch for approximately 5 minutes. I guess you could say that this stop is quite worth visiting, since this house was where four SDM characters lived – Dan-ah, Yeon-ji, Ji-yoon and Jin-kyu! It definitely was as towering as it appeared to be on the show. Since the change of seasons, however, its lush green exterior as seen on the show has since made way for Autumn leaves of brown. So proud of this find! Being here gave me a sense of true achievement 🙂 But soon, it was time to make the trek to the next stop. Be sure to grab a drink or a bite from the convenience store across from the house to refuel! It’s also possible to walk from Stop #3 all the way here! Try keying in the addresses into your mobile map programme, and you’ll be all good to go. This is where it’s gonna get a tad tricky. 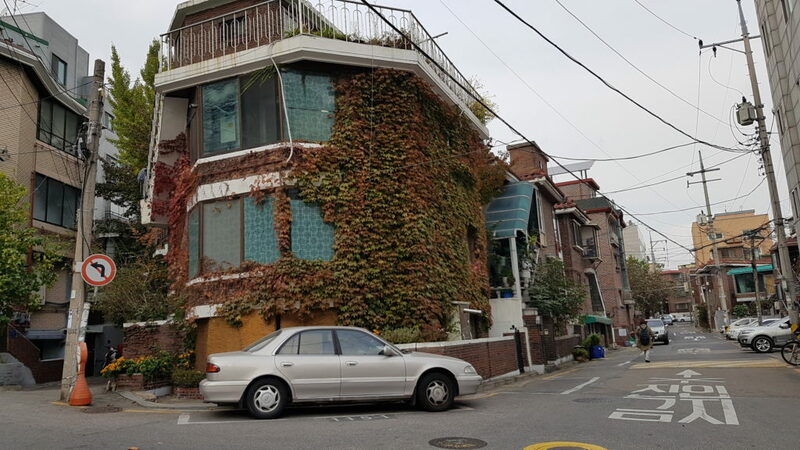 Head away from the house on Seonganro 27gil (성안로27길) (the perpendicular road, to the right of CU) and take a 3 min walk to the main street (성안로). 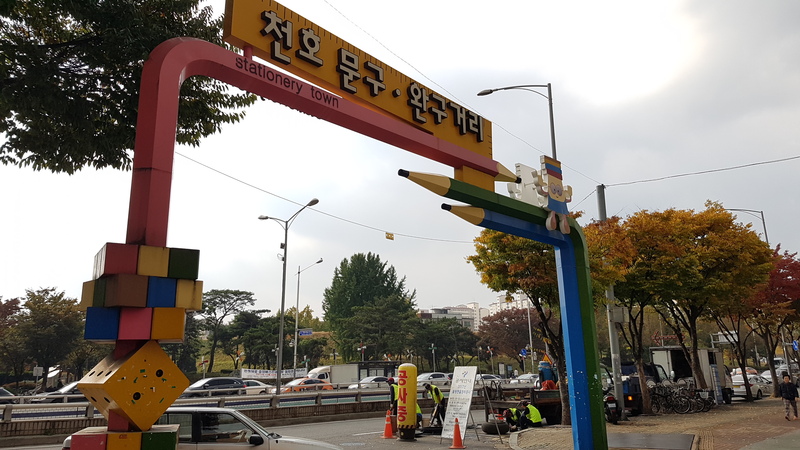 Turn left and keep walking for about 350m (2 mins) till you locate the bus stop after 31ga (31가), which is at Cheondong Elementary School (천동초등학교). 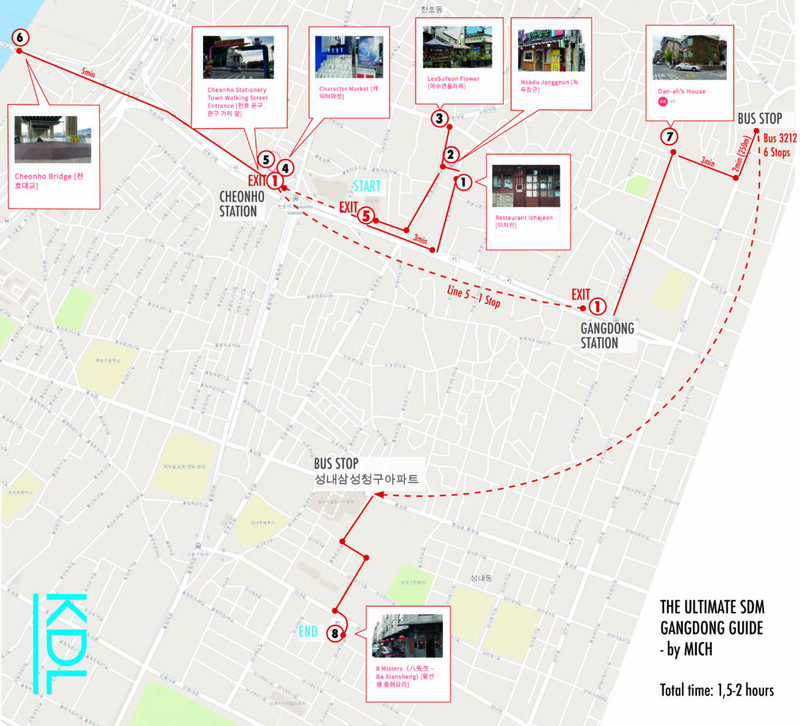 Take bus 3212 for 6 stops and get off at Seongnae Samsung Apartments (성내삼성청구아파트). 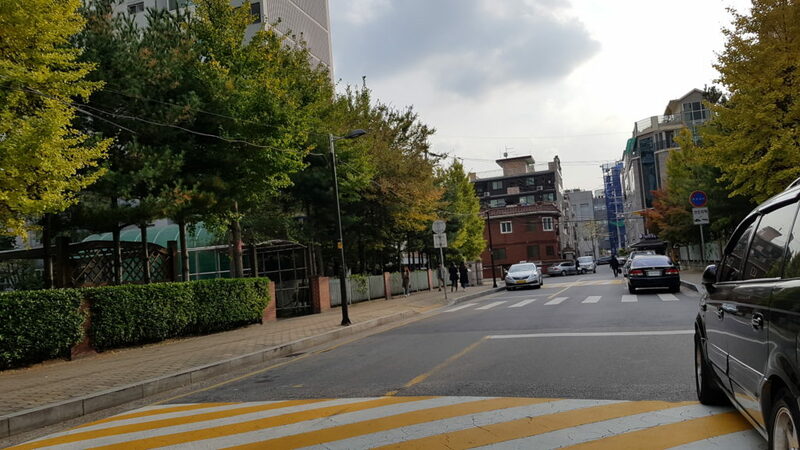 Cross the road into Pungseongro 38gil(풍성로38길) and walk straight. 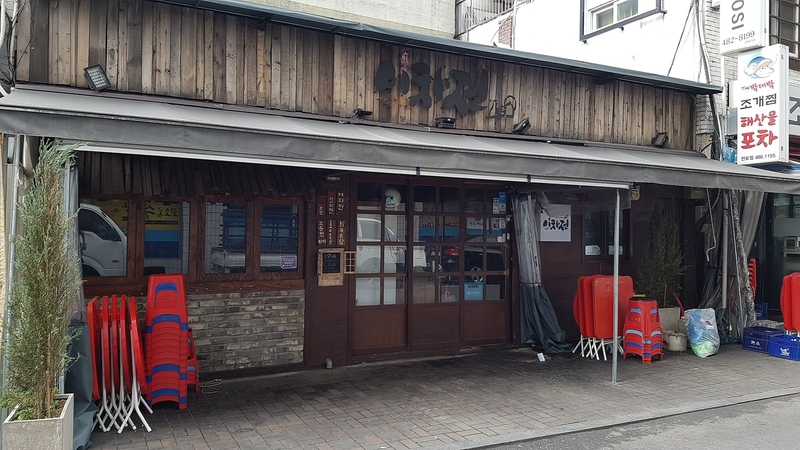 This was the residence of Gang-soo’s merry men (Gong-gi, Min-chan, Byeong-soo, Young-taek, Ho-young), though it was really only seen in the earlier days of the show. And who could forget that epic rooftop brawl between Gang-soo and Gong-gi, which took place at the very top of the building! 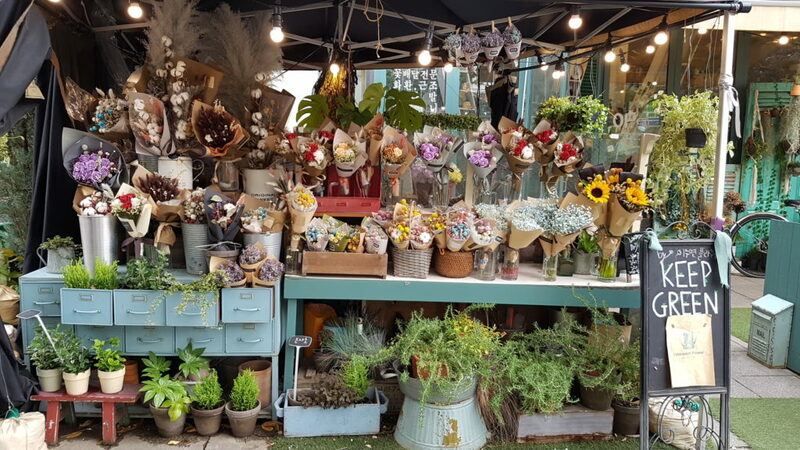 This is definitely the real life version of ‘Palpal’! I had a nice chat with the staff there, who are both from China. 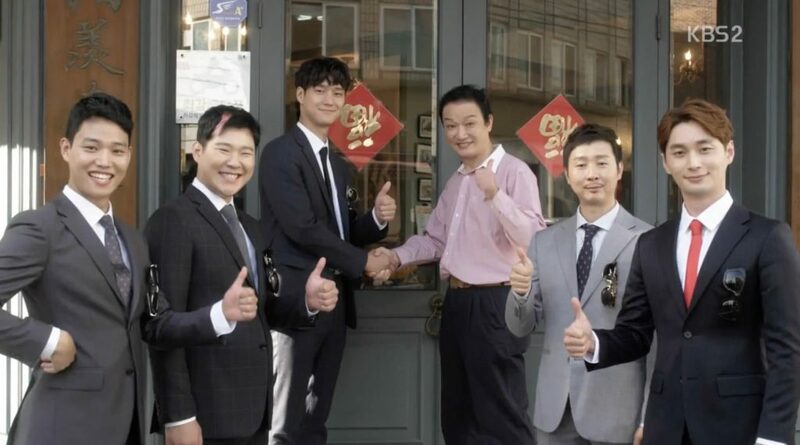 The lady shared the experience she had watching the cast and crew film a scene from episode 9/10, when the guys put up the SDM sign outside the shop. She said that the scene (only a few seconds in the show), took a few hours to film! Was definitely nice to have a personal insight! 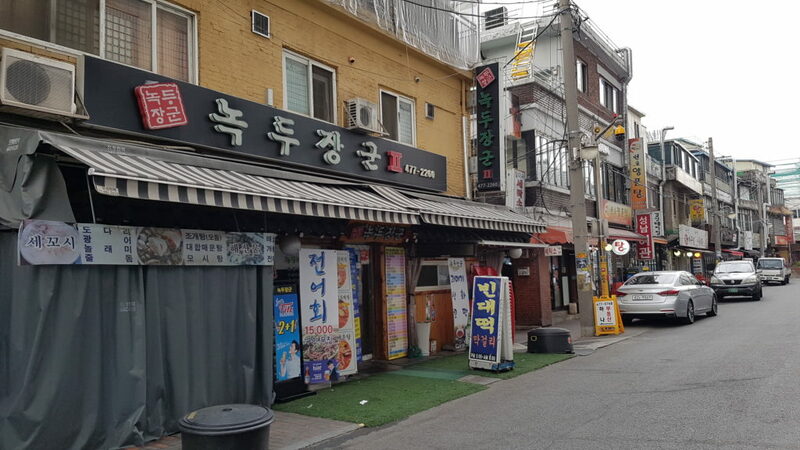 If you’re going to call it a day from all that walking, then head back out to Seongnaero (성내로), turn left, and keep walking. 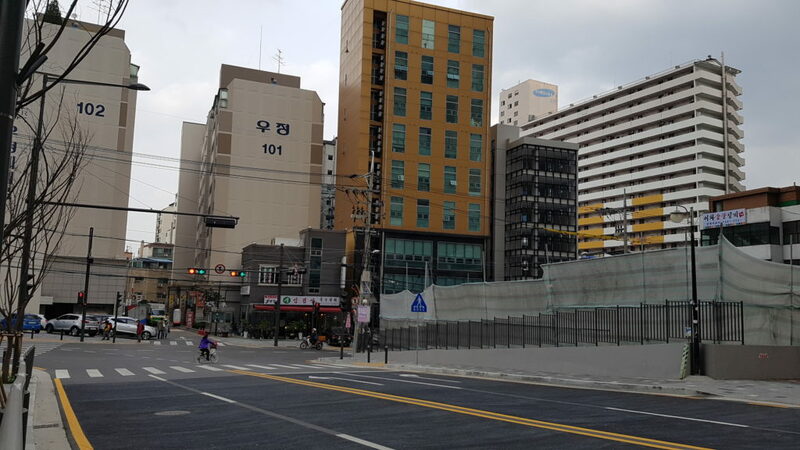 You’ll be able to see exit 2 of Gangdong Office station (강동구청역) on the opposite side of the road. The whole route would actually take about 1.5-2 hours – that is, if you don’t stop for anything! 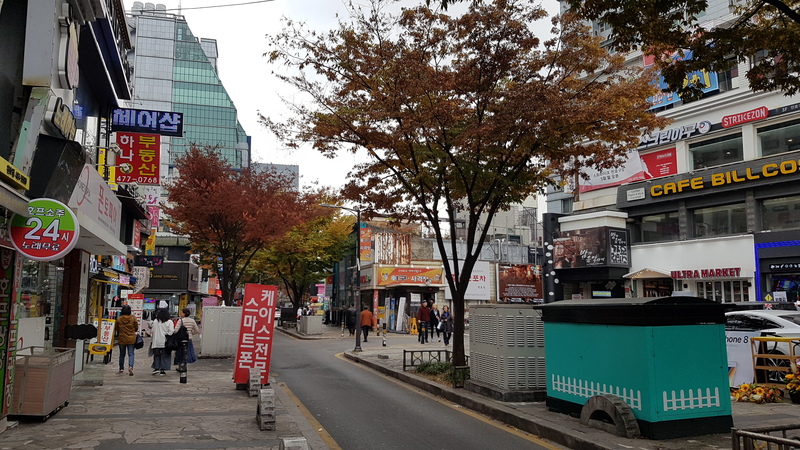 It took me about just under 3 hours because I stopped a fair bit along the way and chatted with people too 🙂 I personally enjoyed seeing a very different side of Seoul that I otherwise probably wouldn’t have even thought about visiting, if not for the show! And I like how authentic the production staff kept to the locales of the show, making sure that they were all within a certain vicinity.